Good Friday is one of my favourite days of the year. I look forward to it for weeks and with a few like-minded friends we plan for the great day like a military manoeuvre. The main thing we love about this day is the challenge – the sale of booze is banned and drinking in pubs is illegal in our dear little country for that entire day – not even Vatican City can match that! 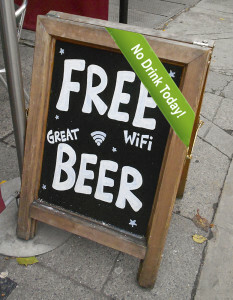 In recent times there has been widespread public support for changing this archaic little law and opening the pubs on Good Friday but I’m dead against the idea – ironically, most publicans seem to be against lifting the ban. People have various reasons, religious and otherwise, for wanting to keep this day dry, but I want the pubs to stay firmly shut because it’s the best drinking day of the entire year, eh, bar none. Most of us drink with reasonable restraint most of the time, but as soon as someone tells us we can’t do it we are overwhelmed with a desire to guzzle ourselves stupid. There’s fierce temptation in forbidden fruit and nothing beats the taste of a prohibited pint. Getting a drink in a real pub on Good Friday is a badge of honour. Closing the pubs on Good Friday turns “Holy Thursday” into an unholy scramble at the off-licence, with supermarket trolleys piled to toppling as the thirsty masses throng the aisles buying booze as if this one-day prohibition was about to become permanent. This may seem like a simple and effective way around the ban but it completely misses the point – there’s no fun in drinking at home. We need something a little more adventurous or, dare I suggest, illegal. There are some promising options for quenching a resolute thirst on a “Good” Friday. Airport, ferry and railway station bars are allowed to sell drink and for the price of a ticket you can drink to your heart’s content in the stations and terminals and you don’t even have to travel. 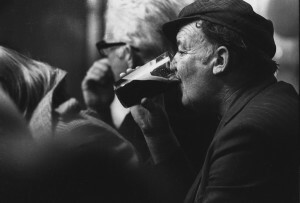 But sucking pints in a train station is not our idea of a great time so we dismiss the notion without a second thought. If you are really desperate you could check into a hotel but even then you can only have alcohol with a meal and the public bars are closed, hardly the makings of a lively session. Another way to enjoy drinking on this sacred day (with gambling thrown in for good measure) is to go to the dogs, literally. For some reason, greyhound stadiums are exempt, which is fine if you happen to live near a dog track where there’s racing happening that day. Other capricious corners where heavy refreshments are allowed include military canteens and private clubs that have applied for an exemption. Drinking was given highbrow status when national cultural institutions and theatres were included on the elite list of places permitted sell the demon drink on this holy of holy days. Museums, libraries and art galleries come under this heading, and good luck to you of you know one with a bar, but it surely confirms drinking as an official cultural activity. We’re not particularly interested in any highbrow culture, drink is central to our day and a quick G&T at the interval won’t cut it, so theatres are also off our list. So none of these workarounds fit the bill. 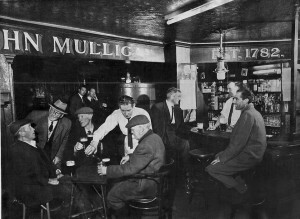 The only real joy on this sacred day of prohibition is to get yourself snugly settled inside a shut pub. There’s nothing like the cosy feeling of planting your backside on a high stool on Good Friday – it’s the warm glow of beating the system. It needs some planning and a little subterfuge but the audaciousness of having to bend a little law to achieve your goal is a bonus. Many moons ago I was passing through Roscrea on Good Friday when we stopped to try our luck. I was delegated by my travelling companions to check for local thirst-quenching possibilities and I set about my mission, but with little optimism. I had hardly mouthed my question to the first man I met on that dark street when I spotted the pioneer pin, flashing from his lapel like a lighthouse lamp. But I needn’t have worried, because this was rural Ireland. He furtively scanned the street and mumbled over the back of his hand: “How many of yis are there?” “There’s just the three of us”, I replied and he beckoned me to fetch my co-conspirators. Our new friend pointed to a dark alley beside a pub that was black as a moonless midnight. “Knock at the side door”, he said and he was gone into the night faster than a politician’s promise. 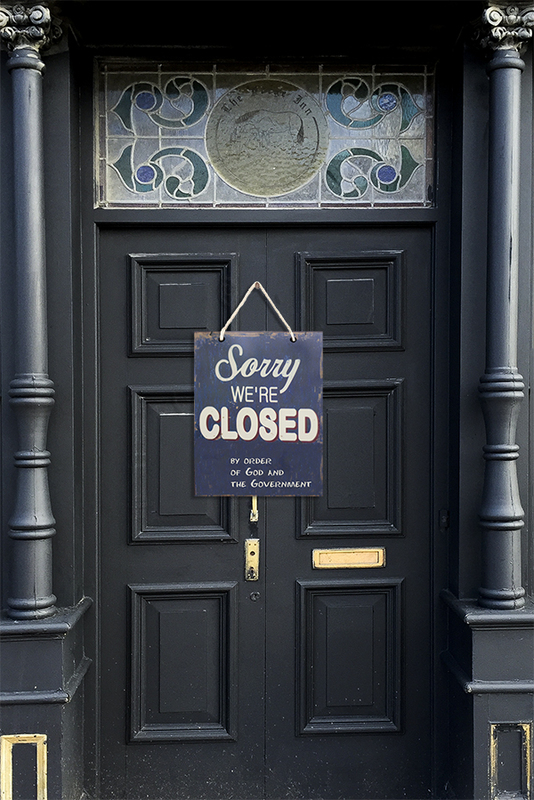 Knocking on the door of a closed pub is an undertaking usually pursued more in hope than expectation but this time the portal opened in double quick time and we were almost dragged inside. “Ssshhh!” was the greeting as the door shut silently behind us. The interior was dark, lit only by a street lamp flickering feebly through the liveried window and the faint glow of familiar names on the beer taps. The place was packed, mostly by men as far as I could see, but the only sound was the quiet murmuring, like you’d hear at the back of a church. Our creamy pints had the sneaky sweetness of stolen buns. When this popular push to open pubs on Good Friday succeeds, as it inevitably will, most people will probably spend a quiet dry day at home. Without legally enforced prohibition people who want to treat Good Friday as a sacred day of abstinence will continue to do so by their own free choice and who knows, they may even feel a greater sense of personal achievement from their efforts. Compulsory compliance only serves to demean the occasion and enforce religious disciplines on people who may have little interest in such matters. So let’s have no more talk about lifting this by now traditional ban on Good Friday drinking. Let’s preserve the sanctity of this day for saints and sinners alike and keep the booze ban so that ordinary decent citizens can enjoy their annual few hours of unaccustomed criminality on this holy of holy days.